When considering installing solar panels on your home, there are a number of factors to take into account to evaluate how well suited your home is for solar. Being that residential solar panels are typically installed on your rooftop, most of the factors that impact the viability of a residential solar installation are directly related to your roof. Some major roof-related factors that impact the viability of a successful residential solar system installation include roof orientation, roof size, roof condition, roof age, roof obstructions and roof shade. It is important to understand that while factors such as roof condition and roof shade impact the viability of a residential rooftop solar installation if your roof is shaded or worn there are steps that can be taken and there are government rebates available to make addressing these issues more cost effective. When determining if solar is right for your home, the first factor to consider is the orientation of your roof, or more simply in which direction the majority of your roof faces. When it comes to mounting solar panels on your roof, a southern-oriented roof is the most ideal due to the fact that a south roof receives the highest intensity of solar radiation. That being said, while a south-facing roof is most optimal for solar panels, east and west roofs are also potential candidates. Even though east and west facing roofs do not receive as much solar radiation as southern facing roofs, they still have the potential to harness enough energy to be worth the investment. That being said, north facing roofs including northeast roofs and northwest roofs are the least optimal candidates for solar rooftop installations. While you may sometimes see homes with solar panels or north roofs, they typically yield a poor return on investment when compared to mounting solar panels on the south, east or west facing roofs. Yet another important factor to consider when determining how well suited your home is for solar is the size of the available roof space on non-north facing roofs. While the number of solar panels you require to meet your electrical demand varies with your annual electrical usage, typically residential solar installations range from 14 to 45 solar panels with the average system size being roughly 26 solar panels. While there are some exceptions to the rule, generally there is a direct relationship between the size of your home and the amount of electricity you consume over the course of a year. The good news is typically the size of your homes roof will also be in a direct relationship with your annual energy consumption, allowing most homes to fit enough solar panels to completely eliminate their monthly electric bill! When considering going solar the amount of shade on your selected roof surfaces is also a critically important factor. 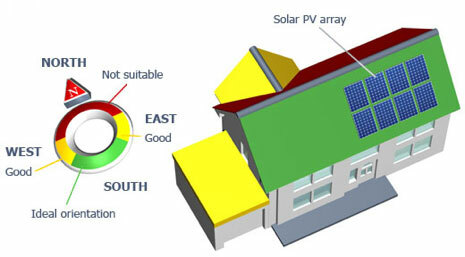 In order for a residential solar system to function properly, it is critically important that the panels are shaded as minimally as possible. When looking at Long Island, most residential rooftop shade is cast by the surrounding trees on your property. While trimming trees might seem like an intimidating and expensive task to a homeowner, luckily many high-quality solar installation companies such as GreenLeaf Solar work with partners in the tree trimming industry that can take all the hassle out of trimming your trees for solar. In addition to the convince of the tree trimming partnerships, many solar companies offer, tree trimming expenses for solar-related projects are in many cases eligible for federal rebates up to 30%. Something else to take into consideration when evaluating the eligibility of your home for solar is the number of obstructions on the roof(s) you plan to install the solar panels on. Roof obstructions include things such as vent pipes, roof fans, skylights, chimneys, exhaust vents, and satellite dishes. While roof obstructions in no way make solar installations impossible, it is important to understand that a solar panel cannot be placed over a roof obstruction. This ultimately means the fewer roof obstructions on your targeted roof(s) the better the case for your solar installation. 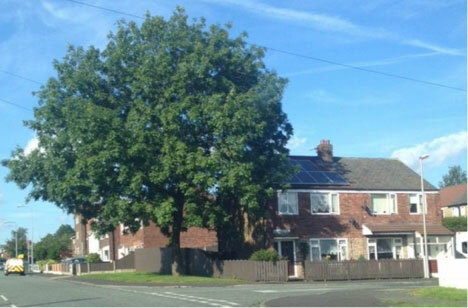 We’ve provided an example solar panels mounted on a roof with multiple obstructions, notice that the installation is still possible however the placement of the panels is designed to avoid such obstructions. The final factors to consider when evaluating the eligibility of your roof for solar is the physical condition and age of your roof. Contrary to popular belief, installing solar panels on your roof can actually protect your roof and in turn, extend its lifespan. Despite the roof protecting benefits of installing solar panels on your home, it is important to understand that solar panels should not be installed on a highly worn roof that will soon need to be replaced. This is due to the fact that replacing your roof after a solar panel installation would require the temporary removal and then reinstallation of your solar panels. If you are interested in installing solar panels on your home but have a highly worn roof the best course of action is to install a new roof prior to installing the solar system. Luckily many solar installers such as GreenLeaf Solar also have roofing partners that take the hassle out of making your roof solar ready. 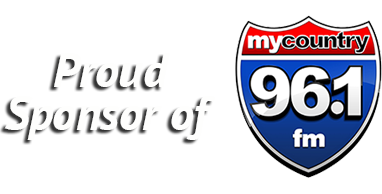 In addition to the roof partnerships, many solar companies have, roof repair work conducted in order to make the roof suitable for solar is eligible in most cases for a federal rebate up to 30% of the new roofs cost. If you have been meaning to replace your home’s roof, going solar is a great opportunity to save on both the installation of your new roof as well as your monthly electric bill! Now You Know If Your Home Is Solar Ready! Overall there are many factors to take into consideration when determining how well suited your home and more specifically your roof is for solar. However, as this article has highlighted if your roof is not fully solar ready there are a variety of steps that can be taken by solar installation companies and their partners to prepare your roof for a solar system. By working with a quality driven solar company a homeowner can ensure that their roof is an optimal candidate for solar panels prior to installation ensuring the long- term successful functionality of your new solar system. How Does the Direction Your Solar Panels Face Affect Performance? Will Solar Energy Replace Fossil Fuels? 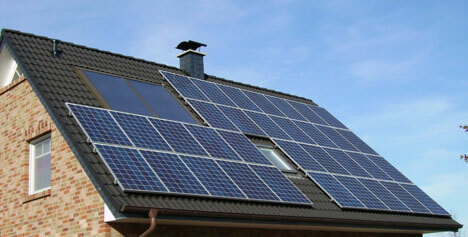 'Like' Greenleaf Solar on Facebook!